Editing and exporting thousands of pictures is no easy task and will often take days. Not to mention the work – it’s so monotonous and repetitive that I often want to pull out my hair and scream. But thankfully, I didn’t do that and instead, discovered the magic of Photoshop Batch Processing. This single feature has made life so much easier for me and saved me thousands of hours. More importantly, it has kept me sane and allowed me to do what I love doing – taking pictures rather than sitting in front of the computer editing them. There are various ways in which we can automate our repetitive tasks on Photoshop. 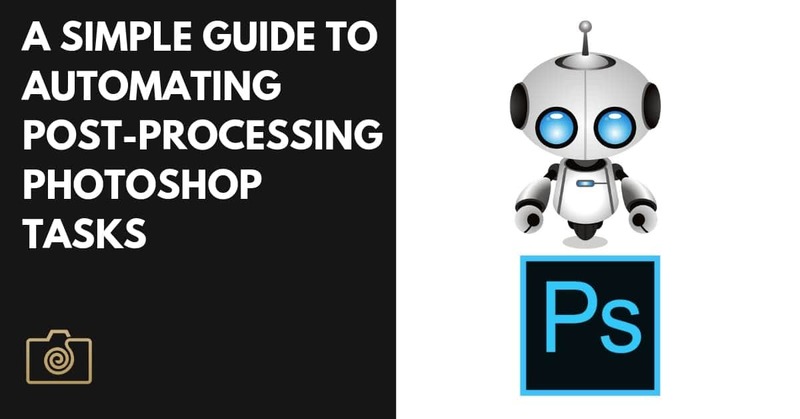 Today, we will be taking a look at Actions, Scripts and of course, the all-important Batch Processing features of Photoshop. 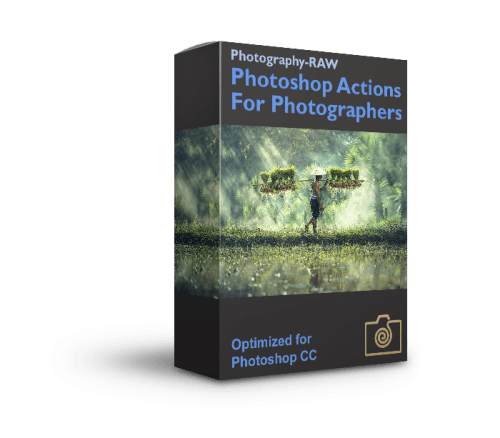 Actions are nothing but a set of, well – actions that you can do in Photoshop. Here’s an example to illustrate how the Actions feature works. Let’s say I supply photographs to an online nature magazine which publishes them on their weekly roundup post. The task is pretty straightforward; all I have to do is select the images and email them to the editor of this magazine. However, the editor is very particular about the dimensions of the photos that I send. She wants all images to be exactly 1080 pixels wide. Hmm, all right, that’s a reasonable ask by the editor. After all, she is publishing my pictures and getting me free publicity through her magazine. So, I jump into Photoshop, and there’s a neat little function called Image Size under the Image Menu that lets me resize the image to the required 1080 pixels. Great! The editor will be pleased. But, I have to repeat this step each time I want to resize an image. Repeating the task for each photo soon becomes time-consuming and mildly aggravating. 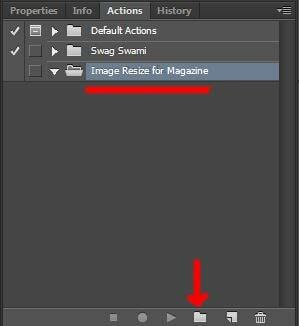 That’s where Photoshop’s Actions feature comes in handy for automating post-processing in Photoshop. All I have to do is record my actions once and then at the press of a button; Photoshop will do it for me automatically the next time. Open the Actions Window from the Window Menu and click on the Create New Action Set button. Click on the new Action Set that has been created and then click on the Create New Action button. Then resize an image as you would normally do. Once done, click on the Stop Recording button at the bottom of the action window, and that’s it. 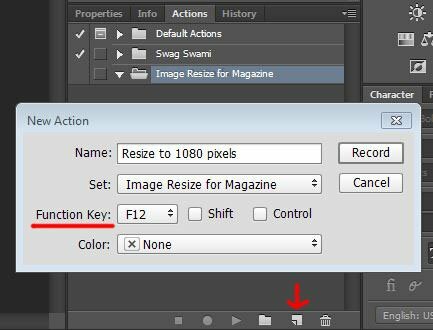 The next time you need to resize an image for your dear editor, open the image in Photoshop and press the function key that you assigned, and boom – Photoshop will automatically do the work for you. This is the beauty of automating post-processing in Photoshop. 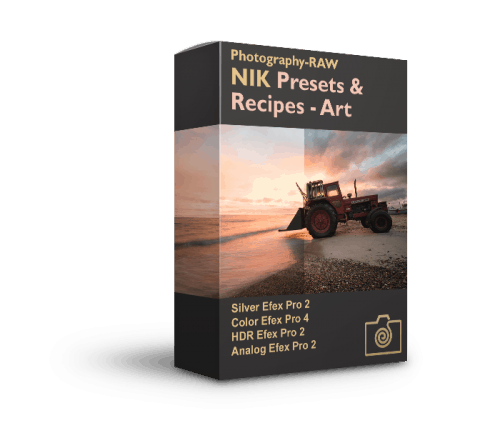 Although Actions are more than sufficient to handle the necessary tasks that any Photographer will encounter in Photoshop, there may be some things that you cannot do with just Actions. The next step in learning how to automate post-processing in Photoshop is Scripts. Let’s say, for example, you want to add watermark to your images, but you also want to save a copy of the image without the watermark for future use (just in case). Of course, you’d probably add the watermark to a separate Photoshop layer and then save once without the watermark layer enabled and once with the watermark layer enabled. Now, if you record an Action while doing this, Photoshop will record Enable Layer with the name as ‘watermark’, or whatever you’ve named your watermark layer. Using Photoshop Scripts, you can save yourself the hassle of having to name the layer the same thing each time for the Action to work correctly. Simply write the following script in any note taking software and save it as a .jsx file. var filename = docPath + '/' + basename + "-with-watermark.jpg"
var filename = docPath + '/' + basename + "-without-watermark.jpg"
Then, all you need to do is head over to File -> Scripts -> Browse and select the created .jsx file. Photoshop will automatically execute the code and save your image – with and without watermark as two neat .jpeg files. There are plenty of resources online where you can learn to create code for Photoshop Scripts. Bonus Tip: Record the above as an Action and you can save yourself the time it takes to browse and select the .jsx file. 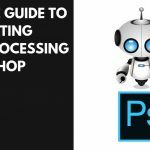 You are now automating post-processing in Photoshop like a pro! Although Actions and Scripts help reduce your work by doing it for you, it is Batch Processing that truly automates your work. 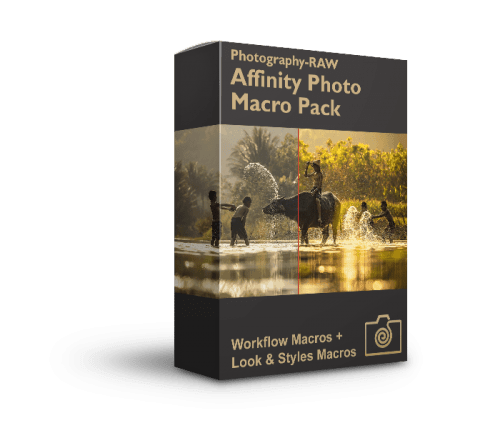 As the name suggests, Batch Processing allows you to perform a predefined Action on a large number of images automatically. Let’s take the previous example to see Batch Processing in action. You need to send 25 photos to that magazine editor who wants images to be 1080px wide. You’ve already created the Action to do this work, but you’ll have to open each image, press the set function key and then save it. Doing it 25 times is going to be monotonous. In comes Batch Processing. Go to File -> Automate -> Batch and when the Batch window pops up, select the Action, Source, and Destination folders. Hit OK, and Photoshop will resize all those images in a jiffy! All you have to do is sit back, smile at your smartness, and thank me in your mind. 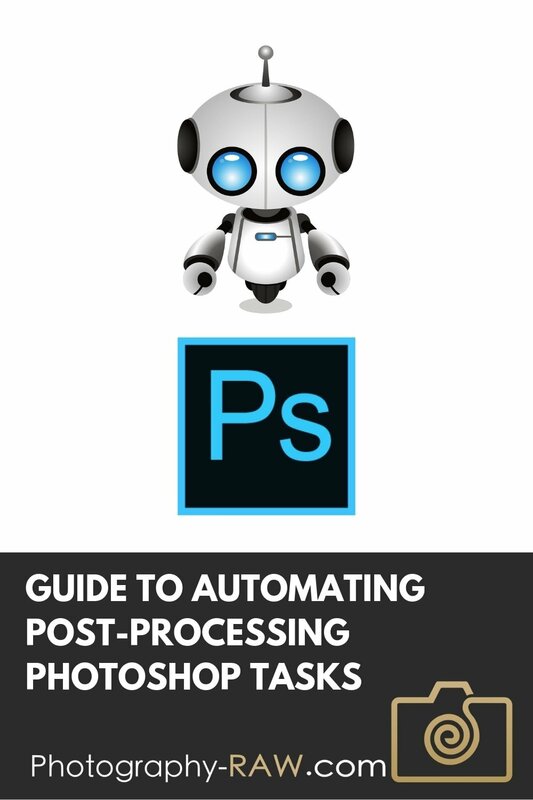 That brings us to the end of this small piece on how to automate post-processing in Photoshop. I would love to hear your thought and ideas. Feel free to comment below. Mohan is a Photography Enthusiast from India who has traveled the World with his camera for over 5 years. He runs an online store selling cool Photography Hoodies in India. He also grooms young children to take up Photography and experience the joy that comes with clicking that perfect picture.